Check out our most recent LED lighting project! Your deck is a place that you should be able to enjoy safely and comfortably at all hours of the day. When the sun begins to set, you shouldn’t have to worry about bringing the party inside due to lack of lighting. Rather, you should be settling deeper into your patio furniture, preparing for an evening filled with good conversation and great friends. 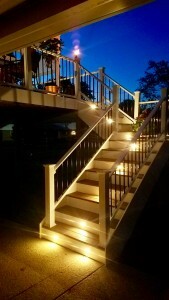 With expertly installed LED lighting, you can enjoy your deck with ease all summer long. Let’s explore. Tiki torches, candles, and even rope lights don’t provide the amount of light needed to illuminate your entire deck. With LED lighting, you can illuminate all necessary areas. Your family and guests can enjoy a meal outdoors without feeling around for the salt. Your grandparents can wander the deck freely without the worry of missing a step. 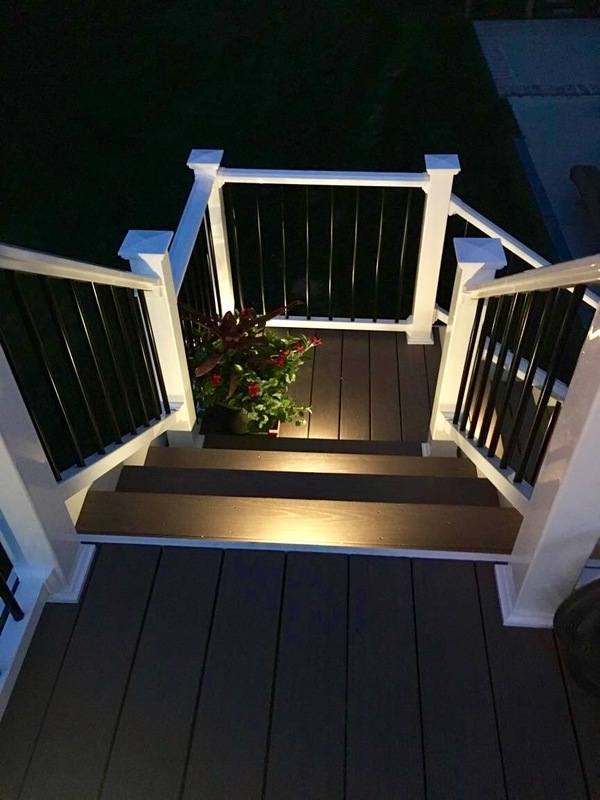 Proper illumination ensures the safety of your deck which is important for all elevated surfaces. Residential LEDs use at least 75% less energy than incandescent lighting. Did you know that a good-quality LED bulb can have a useful life of 25,000 hours or more? This means that they can last more than 25 times longer than a traditional light bulb. Not only will your LEDs create a more energy efficient planet but they will provide you with deck lighting for all Maryland seasons! Maryland residents enjoy taking advantage of each beautiful season that graces this state. Even though we’re just entering summer, that doesn’t mean we shouldn’t think ahead towards colder days. 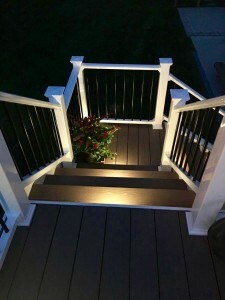 LED lighting can provide illumination to your deck all year round. You won’t have to change the lighting come fall or winter since LEDs are strong enough to withstand temperature fluctuation. For LED Installation: Call TriStar Electric! This entry was posted on Friday, June 9th, 2017 at 2:40 pm. Both comments and pings are currently closed.